New Museum Theory and Practice is an original collection of essays with a unique focus: the contested politics and ideologies of museum exhibition. Contains 12 original essays that contribute to the field while creating a collective whole for course use. Discusses theory through vivid examples and historical overviews. 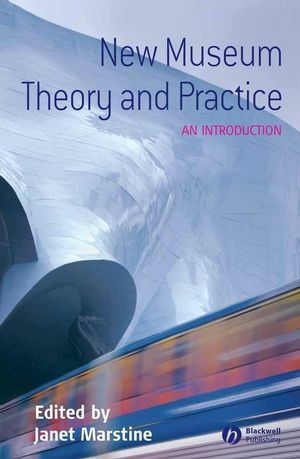 Offers guidance on how to put theory into practice. Covers a range of museums around the world: from art to history, anthropology to music, as well as historic houses, cultural centres, virtual sites, and commercial displays that use the conventions of the museum. Authors come from the UK, Canada, the US, and Australia, and from a variety of fields that inform cultural studies. Janet Marstine is an art historian who has taught at Bowdoin College and Central Washington University. She has curated several exhibitions and is now working on new approaches to student and faculty exhibitions. Presents the first comprehensive study of new museum theory.